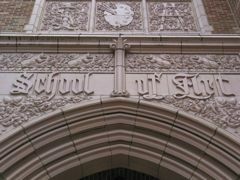 Tough economic times usually mean that a UW department cannot hire new faculty. The School of Art, however, was able to justify the need and get approval for two faculty positions. Ivan Drpić has just joined the Art History Division, and Tad Hirsch is a new addition to the Design Division. The School’s faculty is very happy about having these colleagues join their ranks. Ivan Drpić was born in Serbia, which was then known as Yugoslavia. He attended the University of Belgrade, receiving a BA in Art History and an award for the best senior thesis in his department. He came to the USA in 2003 to attend graduate school at Harvard University’s History of Art and Architecture Department, receiving an MA on his way to completing his PhD at the same institution earlier this year. 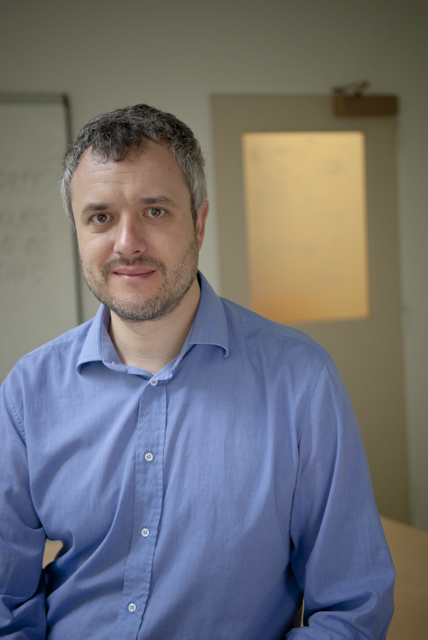 While a PhD student, Drpić received an award for excellent teaching and several fellowships to support his research in Athens, Florence, Istanbul, London, Mount Athos, Ohrid, Oxford, Paris, Sinai, Skopje, Sofia, Thessaloniki, Turin, Rome, Urbino, Venice, and Washington, DC. He was also awarded three fellowships for 2011-2012 (Metropolitan Museum of Art, Dumbarton Oaks, and the Research Center for Anatolian Civilizations in Istanbul), all of which he declined in order to start his tenure-track position here at the School of Art. His expertise is in medieval art history with a particular focus on Byzantium. 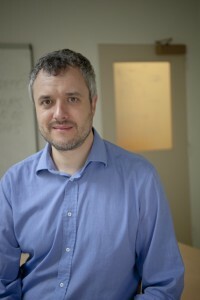 Drpić applied for this position because the UW “is a great research university with a solid emphasis on undergraduate curriculum.” He thinks the Art History Division is very strong, and he feels that the coexistence of the Art, Art History, and Design Divisions in the same school will enrich his experience as a teacher. Drpić is looking forward to working with students, including those who create art, and teaching the Art History Seminar in Rome in the future. His dissertation research examined the relationship of art and epigrammatic poetry in the later Byzantine era, but he also has interests in “medieval theories of the image, materiality and material imagination, the aesthetics of the sacred, the social agency of art, and the questions of identity and selfhood as they pertain to art-making.” He realizes that the Middle Ages are very distant and different from our current world, but he believes “that confronting the very otherness of the Middle Ages can be productive. It can help us question our commonly held assumptions about such basic notions as beauty, history, identity, or what it means to be a human being.” Drpić feels that growing up in a communist country, living through the political turmoil and economic collapse that came later, and being educated in a very different academic tradition will help him offer a novel perspective to his students. Beyond work, he hopes to experience the natural beauty of the Pacific Northwest and explore its ski areas. Tad Hirsch comes to the School from Intel Corporation in Hillsboro, Oregon, and his background will be an outstanding addition to the developing Interaction Design (IxD) Program. He was born in New York and received a BA in Philosophy from Vassar College. Hirsch then spent several years doing documentary video production and working in the nonprofit sector before discovering his interest in design. He took classes at Carnegie Mellon University in communications design and interactive art, worked on wearable computing and robotics projects in CMU’s College of Engineering, and co-founded the art/activist collective Institute for Applied Autonomy before becoming a master’s student in interaction design. After completing that degree, Hirsch moved to the Massachusetts Institute of Technology where he earned both an MS and a PhD in the Media Arts and Sciences Program. He worked on a variety of projects while there, and he taught part-time at the Rhode Island School of Design. He moved to the Portland area in 2008 to take the position at Intel, but in the back of his mind was always the desire to return to academia. Hirsch chose to apply for the School of Art position because he sees the UW as a “rare and wonderful place” that he finds deeply inspiring, and he has been impressed by the quality of students and faculty as well as the vision in the Design Division and the IxD Program. He is excited about getting back into the classroom and working with students. Hirsch brings a perspective to design that is heavily research-oriented and grounded in the humanities and conceptual art practice, but he also has a history of building functional systems and prototypes that move quickly out of the lab or classroom and into the world. 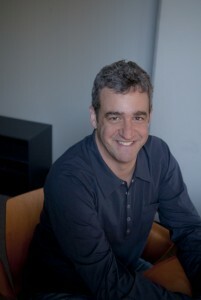 Much of his work has “focused on various forms of civic engagement – designing systems and services that enable groups and individuals to participate in democratic processes.” Hirsch plans to continue that line of research (he is currently writing a book on activist design), but he is equally interested in pursuing new areas of investigation. One direction for future work will likely be in combining interaction design with landscape architecture. He is also looking forward to finding the shortest route to the best surfing spots on the Washington coast.